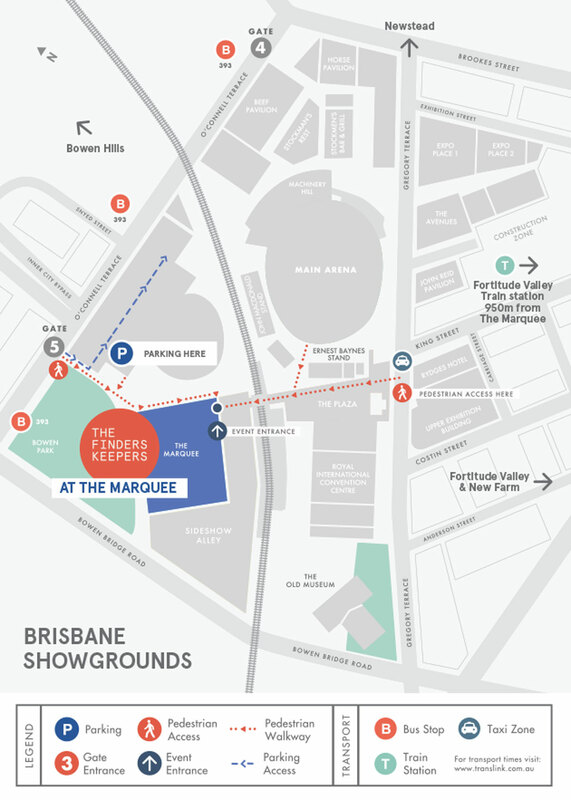 The Marquee within Brisbane Showgrounds is located just 1.5km from the city’s CBD in Bowen Hills. If travelling to the market via car, parking can be accessed via Gregory Terrace. Gate 3 is the access point for the Brisbane Showgrounds operated carpark on the main arena. There is now also parking at The Pavillion which you can access via O'Connell Terrace. See map below for all access points. If catching public transport and or walking to the venue access to The Marquee will also be via Gregory Terrace or O'Connell Terrace — see pedestrian access points below. Public transport is easily accessible and Brisbane’s Domestic and International Airports are just a quick 15 minute taxi ride away. Be sure to check translink.com.au for the most up-to-date information. Brisbane Showgrounds has plenty of parking available (Gate 3, entry via Gregory Terrace or Gate 5, entry via O'Connell Terrace). Please verify pricing and availability via their website. NB: This parking is managed independently from the Finders Keepers Markets. Alternatively King Street Parking is also available for parking and is a short walk from the pedestrian access at Gregory Terrace. See details and special event pricing on their website here. NB: This parking is not affiliated with the Finders Keepers Markets and is managed independently.